Despite utmost care in compiling the contents of this website, we shall assume no responsibility for the accuracy, quality and completeness of the information provided herein. Liability claims incurred via information from this site, are - until proven willfull or gross negligence on our part - generally excluded. This website contains links to external websites. These links are clearly marked as such and are beyond our scope of responsibility. At the time the link was set, no violations of law were noticeable on the linked pages. Since we have no influence on current or future contents of linked pages, we do not assume liability for damages arising from the use of information on linked sites. The respective provider or operator of the site is always held responsible for the content of linked sites. The use of information from linked sites is at your own risk. © Copyright Proemion GmbH 2019. All rights reserved. All texts, images, logos, graphics, animations, sounds and videos including their arrangement on our website are protected by copyright and other laws for protection of intellectual property. Every type of original content reuse without our express permission is prohibited and punishable. 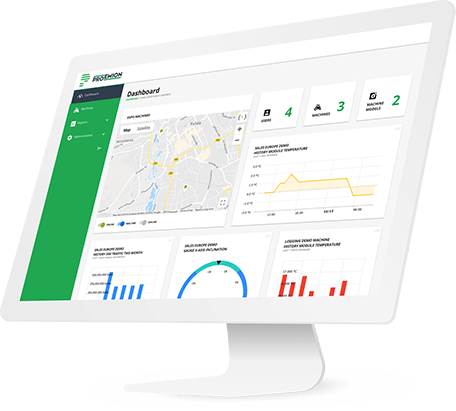 Watch our demo of the Proemion Data Portal and learn how to roll-out a data-driven Telematics Solution.